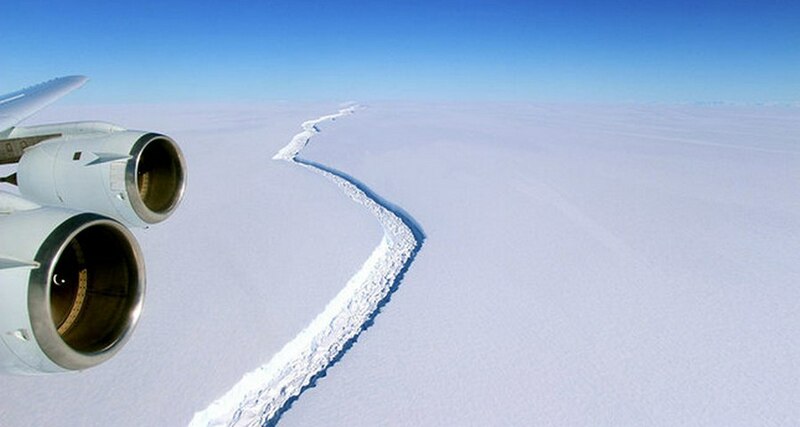 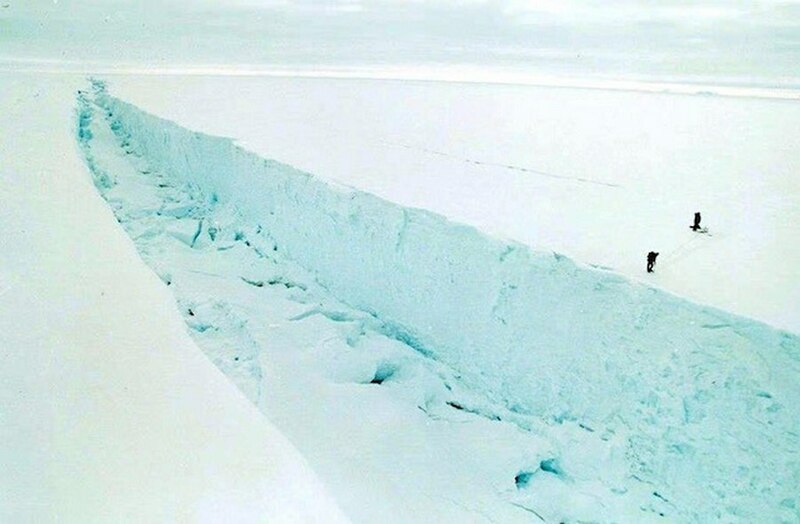 A massive chunk of ice roughly the size of Delaware is about to break away from the fourth-largest ice shelf in Antarctica. 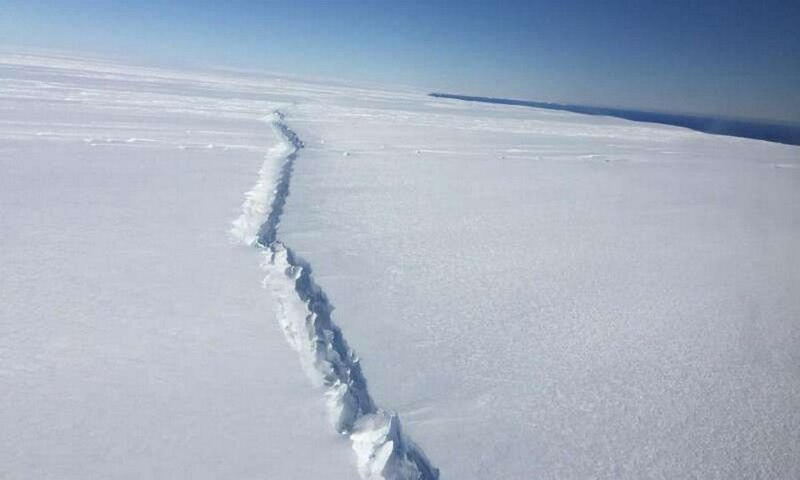 British scientists have been watching a crack steadily develop in the Larsen C ice shelf for years. 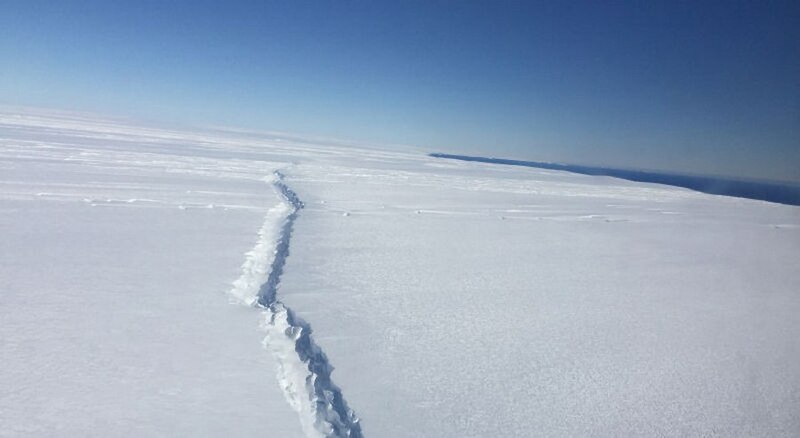 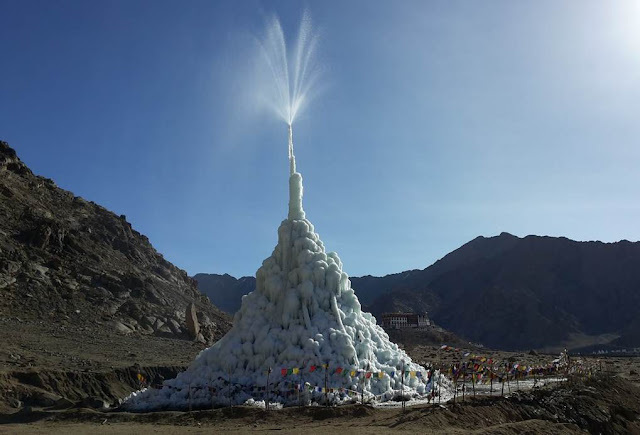 But the rift has expanded dramatically in the past few weeks, and there are now only about 12 miles of icepreventing a 1,900-square-mile section from coming free. 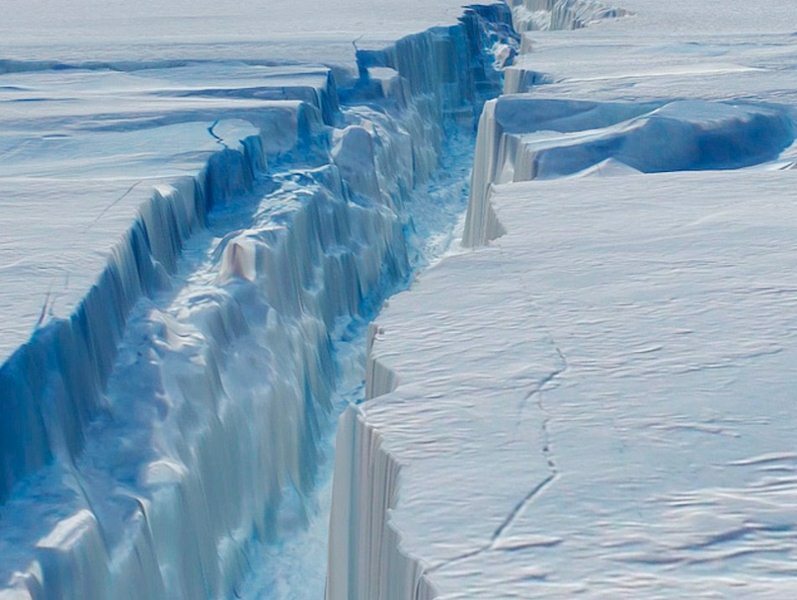 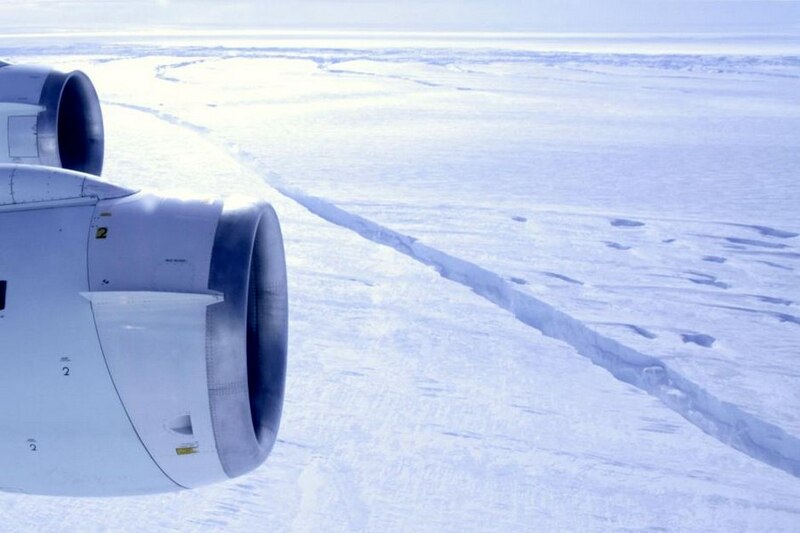 The split not only will form one of the largest icebergs in history but also will leave Larsen C vulnerable to a complete collapse, which could speed up the flow of glacial ice into the ocean and indirectly add nearly 4 inches to global sea levels. 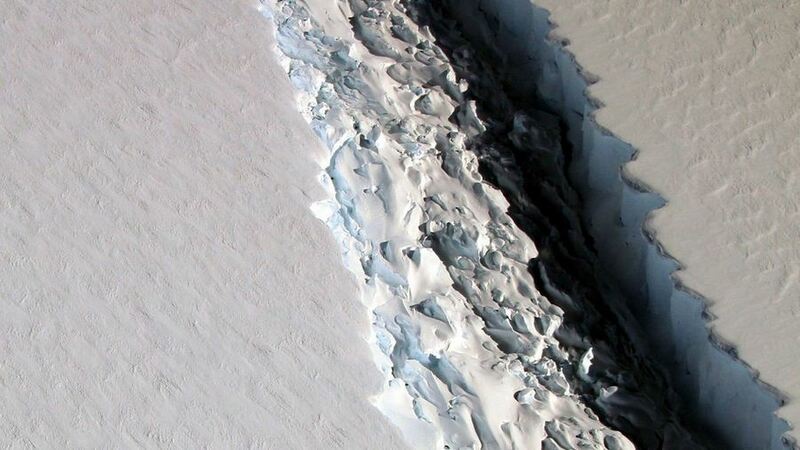 Two neighboring ice shelves, Larsen A and Larsen B, collapsed after similar breakaways. 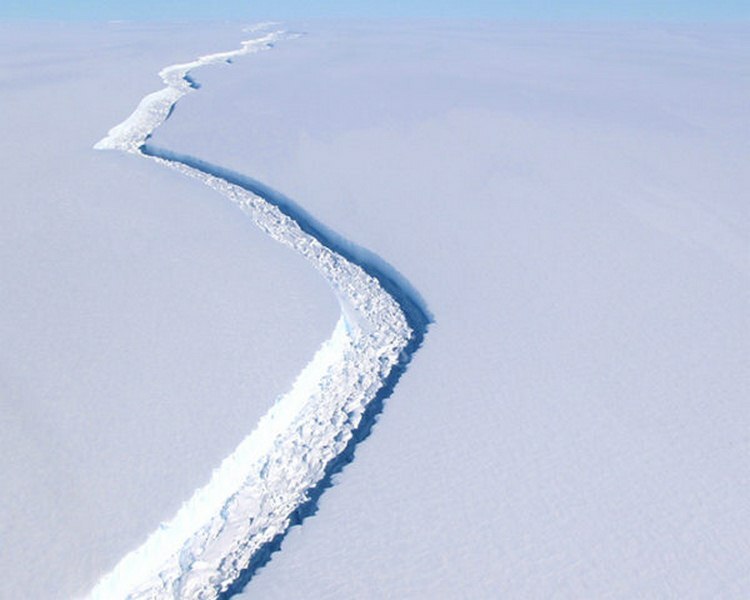 The researchers believe the rift, which is now 100 miles long and 1,000 feet wide, will reach the shoreline imminently.